Get your hands on sample, one-offs, past season and ltd-ed pieces. 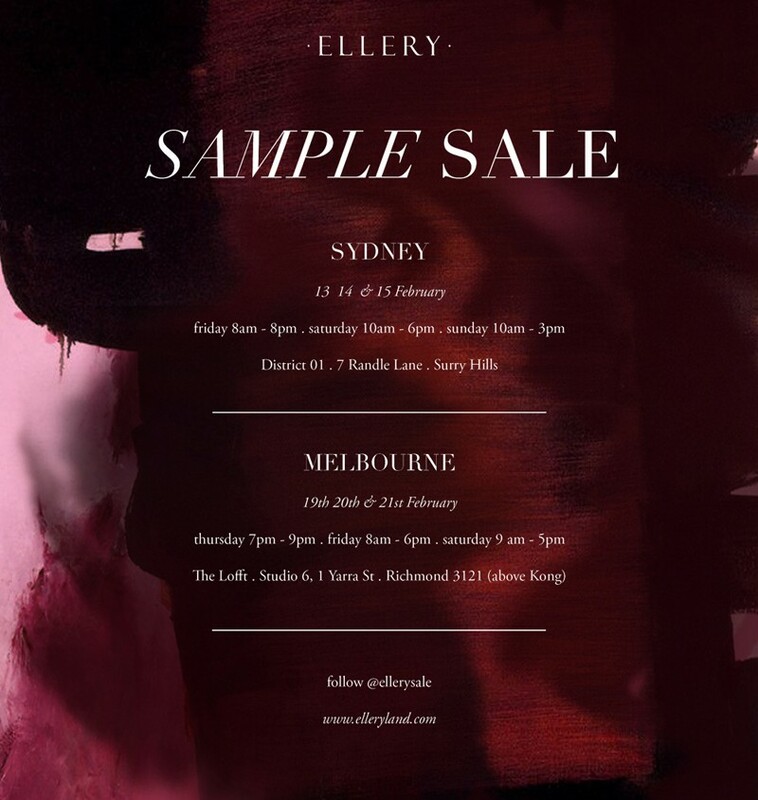 This year's Ellery sample sale is on soon! Everything to go at over 50 % off, don't miss it! New stock on the floor daily!